Brussels is a great city to spend time into, especially if you want to spend your summer co-working. No matter what myth you’ve heard, the weather does get good in Belgium, and most of all the traffic in Brussels is actually bearable during the summer. So what are you waiting for? We give you 8 reasons to pay us a visit. 1) There are great places to work in Brussels and around: co-working spaces, open spaces, private offices, with or without a canteen, kitchen or café. You can also find some specialized co-working spaces, check them all out here. You feel like going to a concert? From 6 August to 15 August the city center will host the Brussels Summer Festival, a yearly music festival that offers many outdoors or indoors concerts. How about open air cinema? Bruxelles les Bains is another festival occurring along the canal open until 13 August where you can enjoy a good movie, among other activities. For the beer and music enthusiasts or for those who just want to spend a nice time socializing, every Friday the Apéros Urbains take place to a different park in Brussels. Wanna enjoy a live concert after work? Join us for the apéro at Le Phare du Kanaal, the next one is on 27 July at 6pm. Needless to say, Brussels is also full of nice little restaurants for you to grab a bite to eat, take your pick! At Le Phare, we serve you a 100 % homemade and local lunch every week days and brunch every Saturday. 3) Speaking of walking around Brussels, the parks are far from being the only way to enjoy the city: you can also take one of the comic book walks, or wander around the city’s most impressive Art Nouveau buildings. 4) If you ever want to get away for the weekend, Brussels’ ideal location allows you to quickly go to Amsterdam (1h), Paris (1h20) or London (2h). It’s just a train ride away! How easy can it be to visit other Belgian cities then? Well, very: from Antwerp (45min) to Gent (30min), Liège (1h) or Namur (40min). 5) You can choose your own work rhythm: at Le Phare du Kanaal, we have several pass offers so that match your needs. You can also decide on the kind of atmosphere you want to work in: studious and surrounded by entrepreneurs at the co-working space upstairs, in a private meeting room for you and your colleagues, relaxed at the café, or even more relaxed at the terrace. 6) Le Phare du Kanaal is open all summer for the 24/7 pass holders, and closes from 7/08/17 to 16/08/17 for the others. 7) You can’t make it for this summer? No worries, Brussels will still be there next year with its after-work events, Art Nouveau buildings and comic book walls. As will Le Phare du Kanaal, of course. And 2018 is flower carpet year! 8) Last but not least: Le Phare du Kanaal has a Special Summer offer for you! You can try the co-working space for free 2 full days instead of half-day and the pass costs 100€ excluding VAT instead of 130€. The offer runs until 30/08/17. 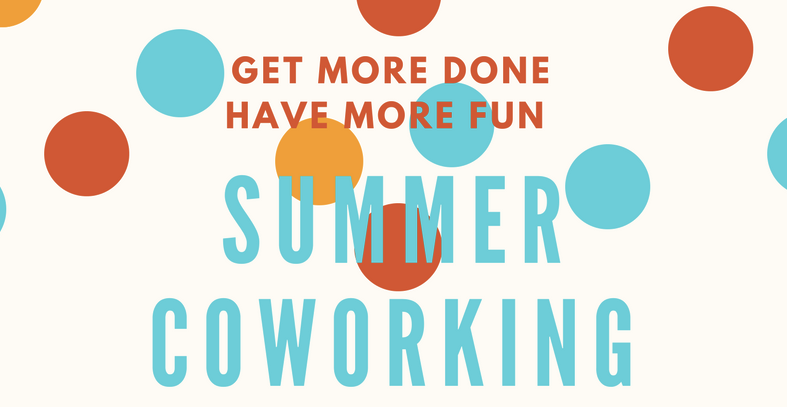 Share the post "8 reasons to spend your summer co-working in Brussels"